‘It was the American leadership and the President of the United States insisting on Europe to stand up and take economic hits to impose costs,’ said Joe Biden, Vice President of the USA, during a speech at the JFK Jr. Forum at Harvard University on October 2nd, 2014. Biden was talking about the sanctions the European Union had implemented on the Russian Federation in 2014 as a consequence of Russia’s activities on Ukrainian territory. 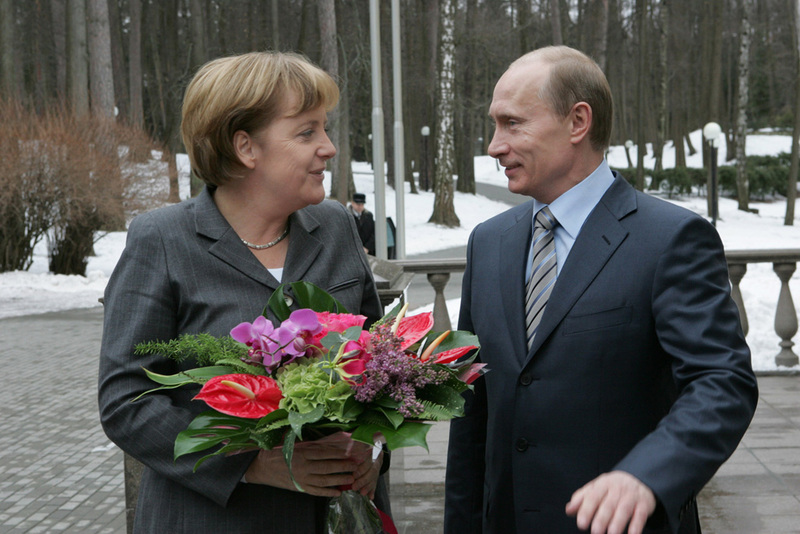 There is a good reason why the EU was so hesitant to damage its economic relationships with Russia. In 2013, the EU exported goods worth around 120 Billion Euro across its Eastern borders towards Moscow. Russia thereby was the EU’s fourth most important export market in 2013, with only China, Switzerland and the US demanding more goods from Europe. Besides the sanctions, the EU and especially Germany’s minister of foreign affairs Frank Walter Steinmeier signalled their willingness to uphold diplomatic relationships with Russia. This strategy was intended to avoid a hot war between the EU and Russia and simultaneously result in a peaceful solution of the Ukrainian crisis. Despite these recognizable efforts to signal to Vladimir Putin that he had gone too far, there still are many that demand more efforts from the EU. Especially to political figures and intellectuals from Eastern Europe the Union is being too soft on Russia. One of these Easterners is Alexander Sannikov, a Belarussian oppositional politician living in England. He fled to London in 2011 in fear of persecution by the Lukashenko administration to whom Sannikov’s political dealings had become a nuisance. In a column for the The Guardian, Sannikov heavily criticized the European Unions reluctance to effectively tackle Russian aggression in the Ukraine. Sannikov accuses the EU of letting itself being hampered by the interests of major businesses. In his opinion, it is these businesses that have dominated Europe’s Russia policies in the past. How true this may be for the past remains debatable, but it can be dismissed for the case of the Ukrainian crisis. One incident that occurred even before the sanctions had been formulated speaks to the European Union’s political strategy triumphing over business interests. Siemens CEO Joe Kaeser travelled to the Kremlin in March of 2014 to speak to President Putin. Afterwards, Kaeser claimed to have gone to Moscow to uphold the dialogue between West and East. The 800 million Euro Siemens so far had invested in Russia may also have been an important factor to seek an audience with Putin. In any case, following Sannikov’s logic, Kaeser’s visit should have received standing ovations from European politicians. Even more so as Siemens pays taxes in Europe, a phenomenon that has become decreasingly common among big businesses operating in Europe. But instead of praising Kaeser for going to Moscow single-handedly, some politicians lashed out at him. German Vice Chancellor Sigmar Gabriel criticized Kaeser for creating the impression that the European Union would sell out its values like any other commodity. ‘Kaeser’s actions show that he either has not understood the geopolitical importance of this situation or that he deems the self-interest of a single company more important than the interests of not only Germany, but also Europe and the entire West’, Norbert Roettgen, chairman of the committee on foreign affairs in the German Bundestag, said. Another point Sannikov raises is the lack of a European strategy to aid the Ukraine during the current crisis and to stabilize it once the war is over. Against this claim stand billions of Euros that the ever enlarging EU has lent to Ukraine since its independence from the Soviet Union in 1991. Despite the difficulties Ukraine had and still has both politically and economically, this flow of investments was not cut off. And neither has it been during the current conflict. In fact, in 2014 alone the European Investment Bank, the European Union’s long-term lending bank, has lent the Ukraine more than 2,6 billion Euros to rebuild its war torn infrastructure. It will take years, if not decades to repay these loans. This money of course does not come without attachments. But these attachments are primarily what Sannikov is claiming to be lacking: efforts of the EU to pressure the Ukrainian government into reforming its political apparatus approaching democratic values. In this regard a heavy weight lies upon the shoulders of Ukrainian Prime Minister Arsenij Yazenjuk and President Petro Poroshenko. The demands by European creditors are not new. They have been made to past Ukrainian Prime Ministers and Presidents as well. Some of them were less committed to comply with European demands due to their pro-Russian attitudes. Those who were more in favour of a westernization of the country had to struggle with powerful oligarchs. These magnates influence went as far as that they could stop reform processes from being approved in parliament. Despite this history of corruption, the European Union has not stopped its efforts in trying to help the Ukraine. These efforts even could be seen as one reason the whole Ukrainian crisis broke out. In short, the EU did not consult with Russia when working out the treaty of association with then Ukrainian President Victor Yanukovitch in 2013. The pressure Moscow put on Yanukovitch, a President known to be Russophile, was so high that he backed out of the treaty at the very last moment. This caused thousands of Ukrainians to pour out to the streets, most famously to the Maidan in Kiev. These Ukrainians had high hopes for the treaty with the EU and saw their chances of a better future fading away after Yanukovitch’s change of heart. Ultimately, the demonstrators’ bloody fighting with security forces on the Maidan resulted in an overthrow of the Yanukovitch government. The Kremlin claimed to have identified fascist elements in the new, temporary government and regarded this suspicion as a valid reason to invade and subsequently annex the Crimean Peninsula. This again set off a whole chain of events leading to the civil war in Eastern Ukraine. The people of the past could not predict the future and those of the present cannot change the past. Nonetheless, the importance of Russian interests for Western foreign policies had been emphasized by some scholars, both Eastern European and American. A prominent figure among those was Samuel Huntington. His controversial book The Clash of Civilizations (1996) partially reads like a foreign policy guidebook for US-American Republicans. However questionable his ideas of the importance of culture for future conflicts may be, he was quite thorough in his writings on Russia. Conflicts with the humiliated heir of the Soviet Union could only be avoided if Russia partook in negotiations about NATO’s eastward expansion. Now the EU is not the NATO, but more than three quarters of EU members are NATO-members as well. In the past, economic treaties between potential candidates and the EU preceded EU-membership. From the Russian perspective, the Ukraine’s flirt with Europe could therefore understandably be interpreted as a threat to Russian interests. Furthermore, Huntington identified the Ukraine as a powder-keg more than any other former member of the Eastern bloc. Due to the country’s ethnic composition, with Russophiles in the East and Europhiles in the West, inner tensions would be quite likely. In the worst case these tensions could lead to a split of the country. Should that be the case, the Western part of the Ukraine should be allowed to join the NATO and the Eastern part become part of the Russian Federation. All of this should be negotiated between the NATO-members and Russia. As convincing as Huntington’s approach may seem, it neglects one important aspect: the interests of Ukrainians themselves. As pre-crisis surveys at elections have shown, the Eastern population votes in favour of whoever benefits their region economically, be it a pro-Russian or pro-Western candidate. Ukrainian scholars therefore stress the importance of a both politically and economically independent Ukraine. Where Ukrainian scholars and Huntington overlap is in the emphasis on integrating Russia into any kind of talks that concern Ukraine. Therefore it can be said that the European Union did not necessarily do too much in general, but rather did too much without Russia. Those words probably would not please thinkers as Sannikov. Although the latter writes a lot about how the EU should be more assertive, he remains silent about what he actually has in mind. He may be in favour of stricter sanctions on Russia. But further destabilizing Russia could lead to a collapse of the nation that has the largest landmass in Europe. On top of that, its southern republics are constantly under threat of drifting into civil war. The infamous wars that Russia fought in Chechnya stand testimony for the potential conflicts that lurk at the edges of the Federation. Sannikov does not stand alone with his demands. 21 Polish intellectuals signed an open letter, criticizing Europe’s passivity towards Russia. Newspapers around the world decided to publish an integral version in September 2014. For the subscribers, Putin is a reincarnation of Hitler and Europe should not remain silent to only act when it is already too late. Especially Germany is targeted by the subscribers. 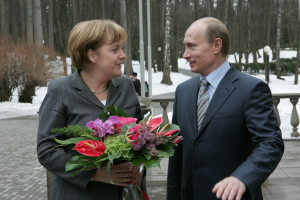 Close economic ties and a focus on Russia as the main partner in Eastern Europe were claimed to hinder Germany, one of the most influential EU-members, from putting more pressure on Putin. It may have slipped these intellectuals’ attention that the sanctions implemented in midyear 2014 heavily backfired on German small and medium sized companies. Especially smaller companies claim to face existential difficulties due to the ban put on machinery exports to Russia. Similar to Sannikov’s publication, the Polish intellectuals fail to present an alternative strategy that could put an end to the Ukrainian crisis. George Soros, the American billionaire born in Hungary, makes up for their shortcomings in an article for The New York Review of Books. Soros, who made a fortune with high risk speculations at the stock markets, has two pieces of advice to give to the EU, US and NATO. Firstly, the West should supply weapons to the Ukrainian army. Secondly, financial aid should be massively extended and given under conditions allowing the Ukrainian government to operate free from pressures created by the financial markets or creditors. Soros, like other Eastern European intellectuals, is convinced that the stability of the Ukraine is essential for the security of all of Europe. In Soros mind, risking an all-out war between the West and Russia is the only way to force Russia into retreat. This rather radical approach as well as other Eastern Europeans demanding a more aggressive strategy is partially caused by the trauma of Soviet occupation. In the eyes of the formerly occupied, Europe’s response has been so weak because Central and Western Europe did not experience the horrors of being part of the USSR. But the Russian Federation is not the USSR. And Vladimir Putin is not Joseph Stalin. And not being traumatized by an authoritarian regime might have its benefits, as it allows analyzing the situation without feelings of revenge. Recent events indicate that Europe’s tactics could turn out to be fruitful. At a meeting between representatives of Russia, Ukraine, France and Germany in Berlin in January 2015, an agreement was reached to create a demilitarized zone around the war front in Eastern Ukraine. Sergey Lavrov, Russian minister of foreign affairs, promised to use Moscow’s influence to make the rebels comply. In exchange the Ukrainian army would move its heavy artillery from the designated area as well. Further pursuing this strategy of dialogue and economic pressure is a reasonable approach to keep the first inter-national war on European soil since 1945 from evolving into World War 3.